Diagnosis of coeliac disease requires a tissue sample from the small intestine, which can be extremely unpleasant. Researchers at the Faculty of Medicine have developed a blood test which provides a rapid, painless answer. Left: Healthy duodenum. Right: Duodenum showing villi damaged by coeliac disease. Photo: UiO. As many as 100 000 Norwegians may suffer from coeliac disease, which causes the immune system to think that gluten is a virus or bacteria. This causes the body to trigger an unnecessary inflammatory reaction in the small intestine, a so-called autoimmune reaction. Tissue and enzymes are attacked, the villi become damaged and the patient can suffer weight loss, reduced absorption of nutrients and stomach pains. If you suspect that you have coeliac disease, you currently have to undergo an extensive investigation. While consuming gluten-containing foods, you must take a blood test followed by a tissue sample from the small intestine. If you have embarked on a gluten-free diet, you must begin to consume gluten-containing foods again. If you do have coeliac disease, this may result in pain and considerable discomfort. The tissue samples are taken by gastroscopy, which means a tube being inserted down through your throat to the duodenum. The tissue samples must also be taken in order to obtain a definite diagnosis. This can be very unpleasant, and children are put under anaesthetic during this type of examination. Researchers at the Faculty have now developed a new blood test that makes it much simpler to diagnose coeliac disease. Postdoctoral fellow Asbjørn Christophersen, UiO. Photo: Øystein Horgmo, UiO. “When the food that you eat enters the small intestine, it is reduced to tiny fractions and presented to the T cells on so-called HLA molecules. The HLA molecules present various elements of what you consume, as well as what is inside the cells. In the case of coeliac disease, the T cells think that gluten is a virus or bacteria. “The T cells send a message to the other immune cells to attack not only the gluten protein itself, but also cells, and an enzyme that binds itself to gluten,” Christophersen further explains. Thus your small intestine becomes inflamed. As soon as the test is approved and released on the market, you will in principle be able to take a blood test at your GP’s surgery. The blood sample will then be sent to a laboratory which performs the test. A reagent composed of HLA molecules and fractions of gluten is added to the sample. A reagent is a substance to which something is added to detect the presence of another substance. In this case the reagent binds itself to the T cells that are in the blood sample. Magnetized antibodies are also added which in turn bind to the reagent. “When we allow blood cells to flow through a magnetic column, the cells that react to gluten remain suspended in the column while all the other cells flow through it. We observe that coeliacs have a much higher number of gluten-reactive T cells in their blood than non-coeliacs. The level is more or less independent of how much gluten they eat,” says Christophersen. This means that we can diagnose coeliac disease irrespective of whether you are consuming foods containing gluten or not. You can thereby avoid the discomfort that may result from the intake of gluten, not to mention that you avoid the gastroscopy. Diagnosis becomes more effective as well as less unpleasant for the patient. The method for detecting cells that react to gluten in the blood is based on a method developed by the group at the Marc Jenkins Lab using mice. The group succeeded in studying rare T cells with very low frequency. Professor Marc Jenkins is the Director of the Center for Immunology at the University of Minnesota. “We have slightly altered the method and use it on humans. We are the first to see the potential of its use for determining a disease,” Asbjørn Christophersen explains. The researchers are now conducting a large-scale clinical trial with three groups: coeliacs, healthy individuals and persons with symptoms similar to coeliac disease. It is important to include the group with symptoms similar to coeliac disease because many of these patients will take the same test. This will also help to show whether these latter patients have signs of a T-cell reaction to gluten such as we observe in the case of coeliac disease. “We are now in contact with several leading international companies that are interested in using the technique for the diagnosis of celiac disease,” he says. The technique can also play a part in developing a vaccine for coeliac disease. The purpose of a vaccine is for the person receiving it to develop so-called regulatory T cells. These are T cells which can suppress the immune system’s unwanted response to gluten. “We are also working to optimize the method further,” says Asbjørn Christophersen. Professor Knut Lundin with an endoscope used to take tissue samples. Photo: UiO. Christophersen points out that the work is based on that of his supervisors, Professor Ludvig M. Sollid and Associate Professor Shuo-Wang Qiao. The research conducted by Sollid’s group, the Centre for Immune Regulation (CIR), is at the cutting edge globally with regard to coeliac disease. A former member of Sollid’s group, Hanne Quarsten, developed the reagent containing HLA molecules and gluten fractions. “This is the result of many years of basic research ‒ research which to all appearances has not directly helped patients. But based on this research, we have now reached a point where we can give something back to these patients. It is they who have given us blood and tissue samples over a number of years, and this has been crucial material for our research. The close collaboration with Professor Knut E. A. Lundin at UiO has been a prerequisite for this and many other studies conducted by Sollid’s research group. “Without close contact and access to patients it is also difficult to conduct basic research. Lundin has been a key figure in the development of the diagnostic test as well,” Asbjørn Christophersen concludes. Knut E. A. Lundin is also senior consultant at the Section of Gastroenterology, Department of Transplantation Medicine, Oslo University Hospital, Rikshospitalet. 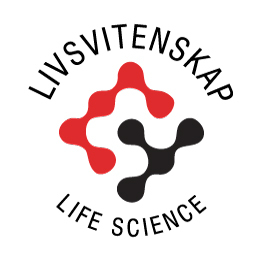 The research is part of UiO’s Life Sciences initiative.